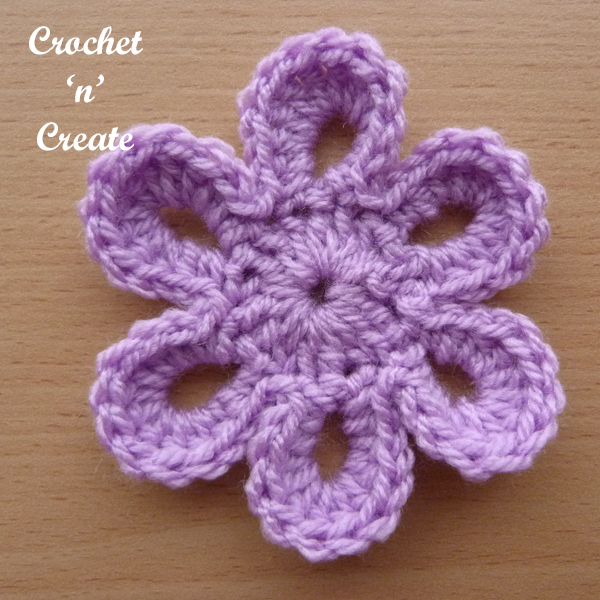 Crochet Six Petal Flower – Pretty flower applique, a 10 minute flower to use as decoration to most items such as bags, scarves, hats, blankets etc. 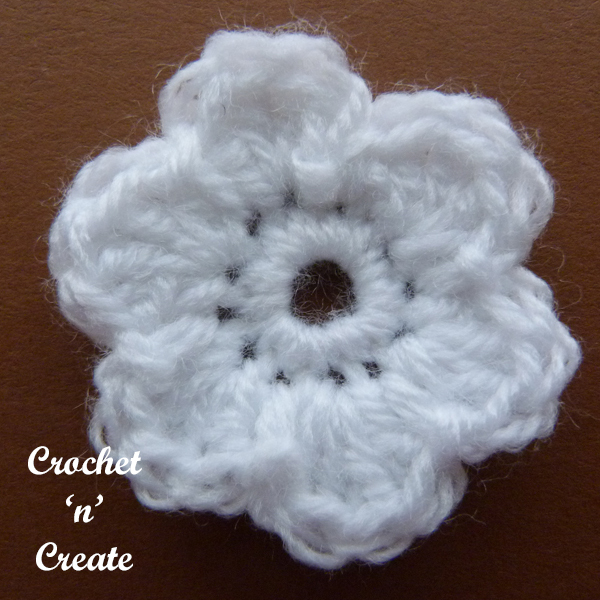 You can never have enough flowers lol, this one is so cute and simple to make. 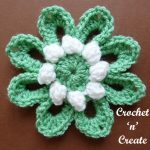 This entry was posted in crochet Applique, Crochet Flowers and tagged crochet, crochet adornments, crochet applique, crochet flower on 13th February 2019 by crochetncreate. 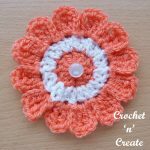 Crochet Petal Flower UK – I don’t think you can have enough flowers appliques for decoration, this one is so sweet and easy to make. 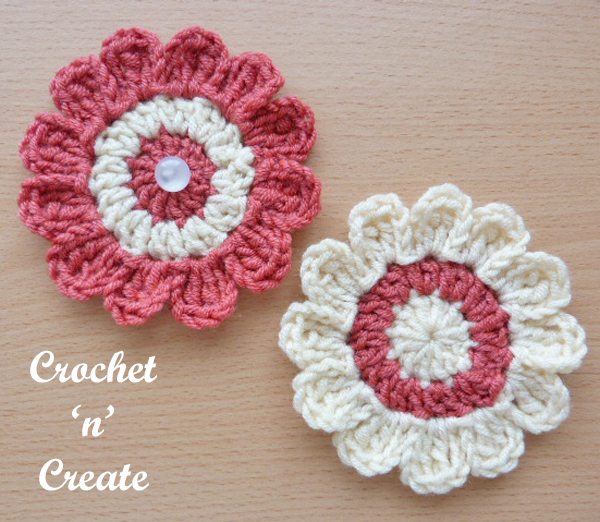 You can crochet it up in approx 10 minutes and use on most items such as pillows, cushions, bags, cowls etc. 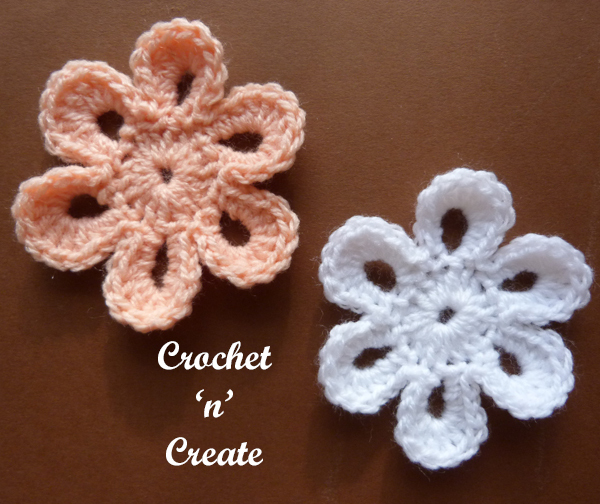 See more of my free applique crochet patterns on the links below. 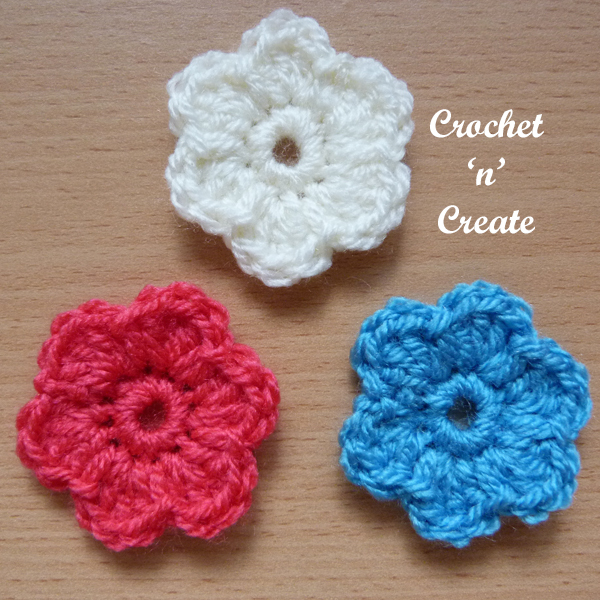 2nd Row – (Petals) * work (1dc, 2htr, 6tr, 2htr, 1dc) into 8ch loop, ss into next tr, * rpt from * to * to end, working last ss into the first dc on the beginning of row. 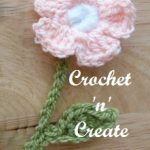 Finishing – Weave in trim off loose ends of yarn. 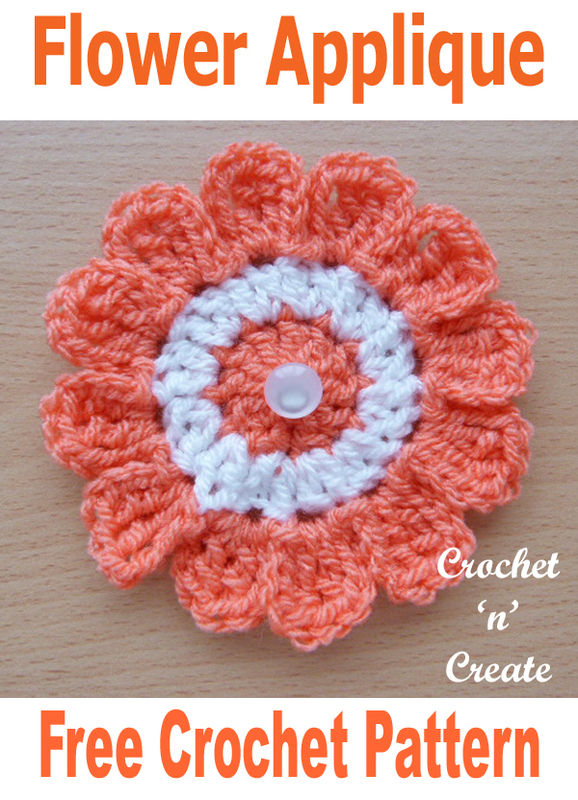 The written instructions and pictures for this crochet petal flower uk free crochet pattern are copyrighted to crochet ‘n’ create © 2019. 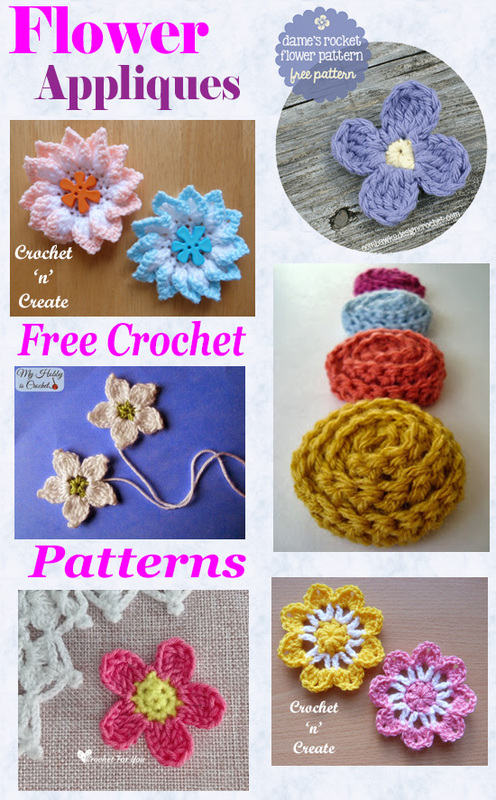 You are welcome to sell the finished products made from the crochet petal flower uk free crochet pattern, I just ask that you please use your own pictures and put a link back to crochet ‘n’ create. 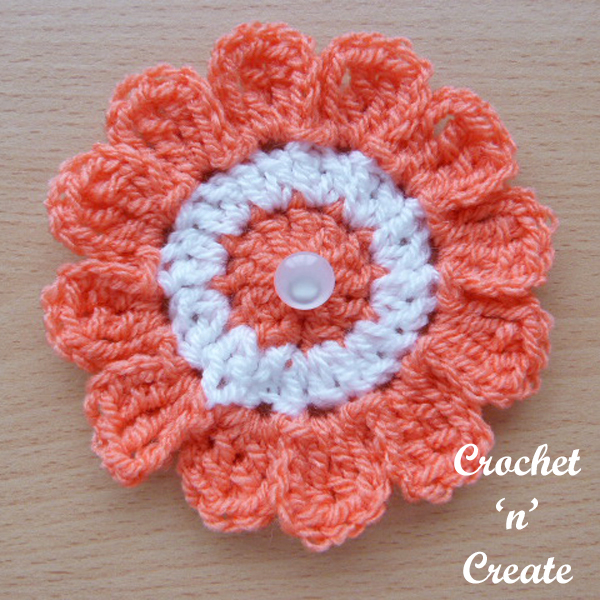 DO NOT share the written instructions for this crochet petal flower uk free crochet pattern. 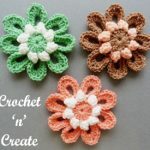 Free Crochet Pattern Roundup-Flower Appliques – Use these crochet flower appliques to decorate your blankets, bags, purses, hats and fashion items. 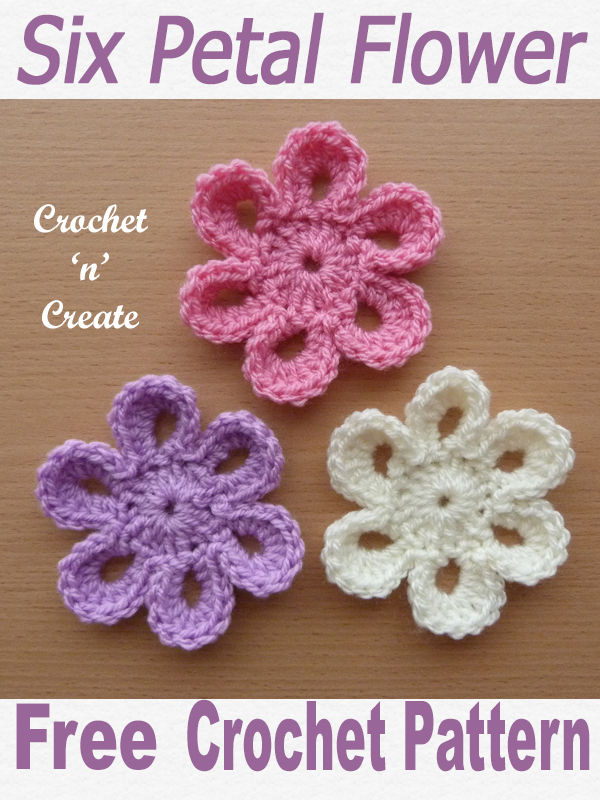 Flower appliques can be used to do so many things with, ie. 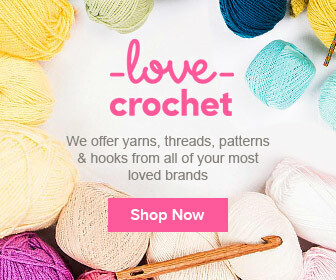 make jewelry, fridge magnets, bookmarks etc. 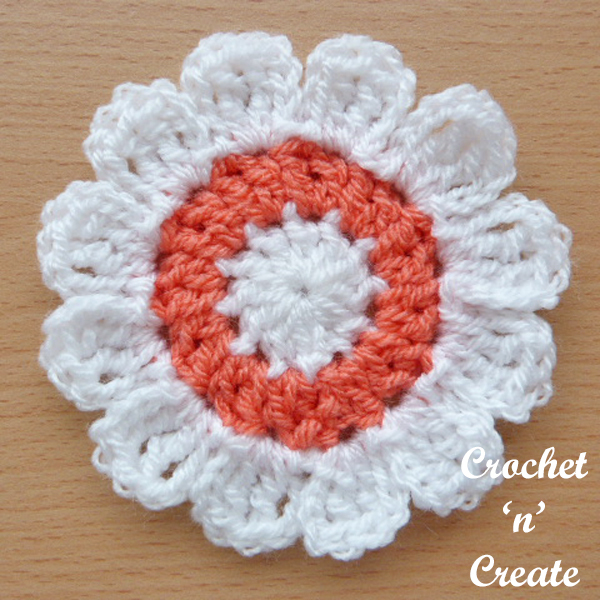 This entry was posted in Crochet Flowers, Round Ups and tagged crochet, crochet applique, crochet flower, crochet roundup on 14th September 2018 by crochetncreate. 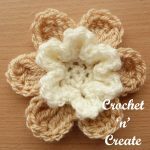 Free Crochet Pattern Flower Applique – Use this pretty and cute flower applique for hats, bags, blankets etc. 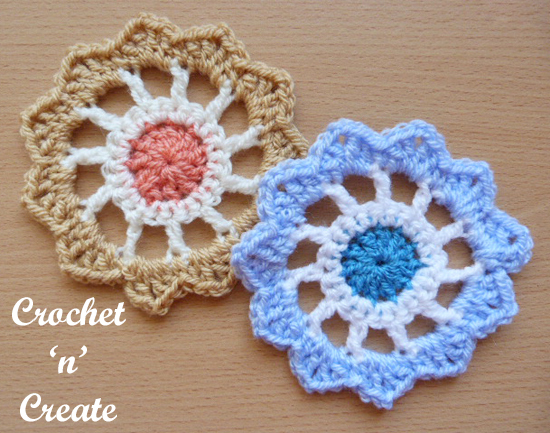 It is easy and quick to crochet, you can also make lots and join them together for afghans and throws if you wish. 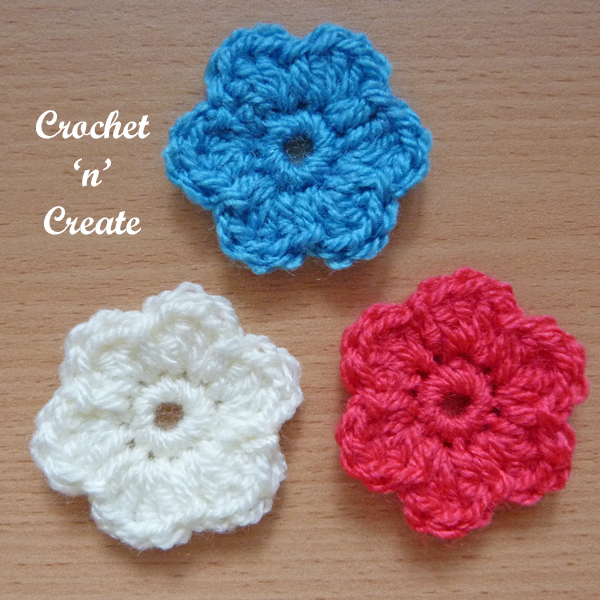 This entry was posted in crochet Applique, Crochet Flowers and tagged crochet, crochet applique, crochet flower, free pattern on 25th August 2018 by crochetncreate. 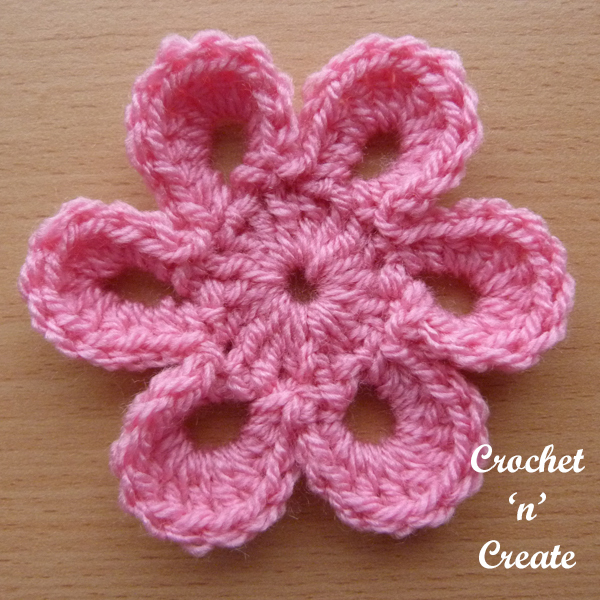 Crochet Flower Applique UK Free Crochet Pattern – A cute and pretty flower that you can use to add colour to anything you make. 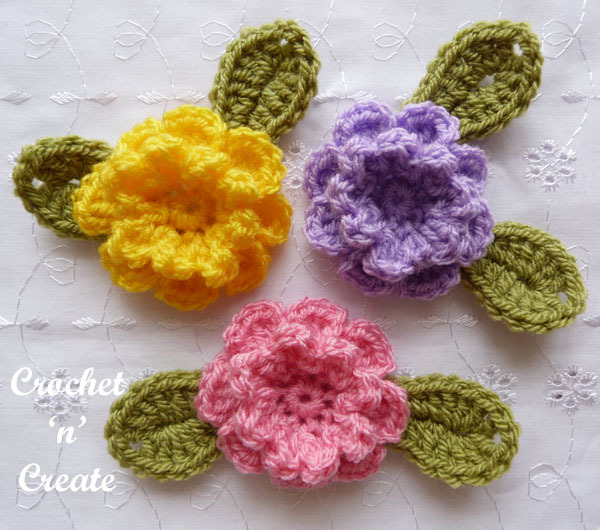 Add it to headbands, Summer wreaths, garlands etc. 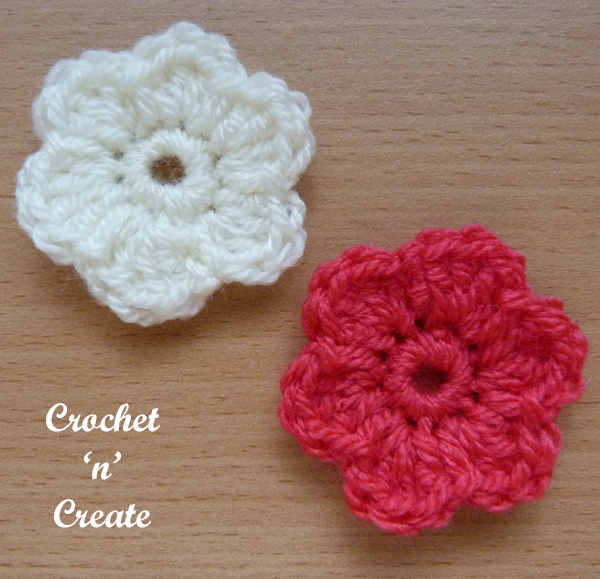 or make a few and join them together for a scarf. 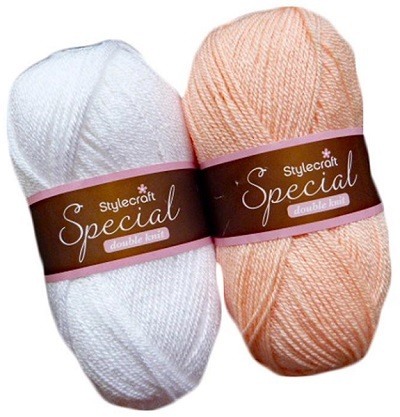 I have used Stylecraft Special double knitting yarn for samples in colours Shrimp and White. 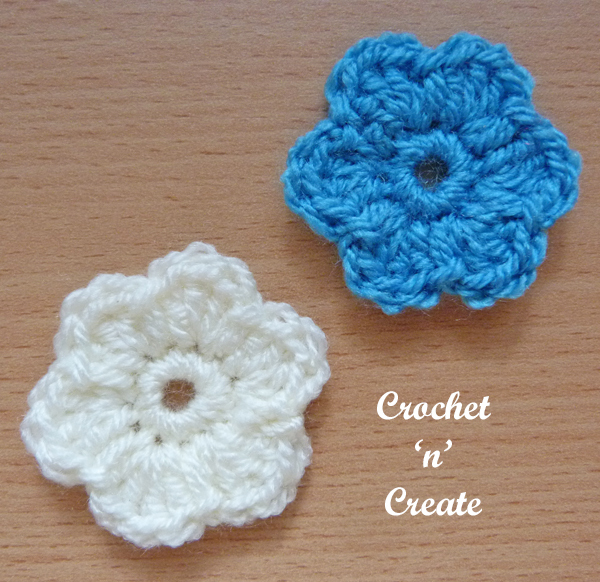 These adorable little flowers can be crochet up in no time at all. 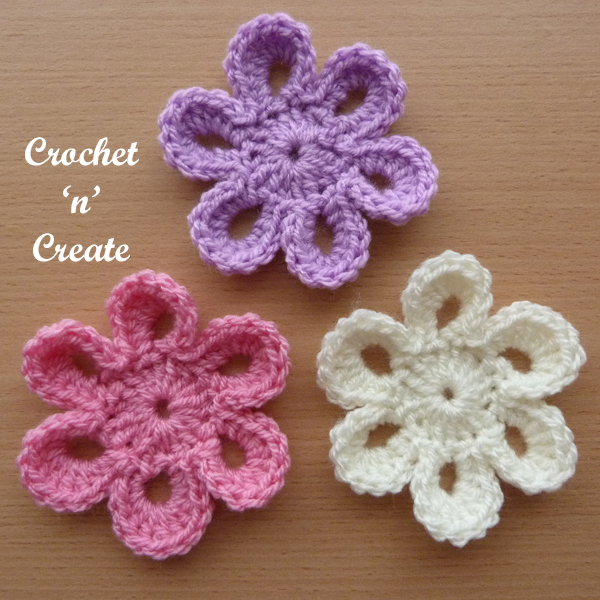 If you would like more flower motif ideas, follow the links below to see more of my free patterns. 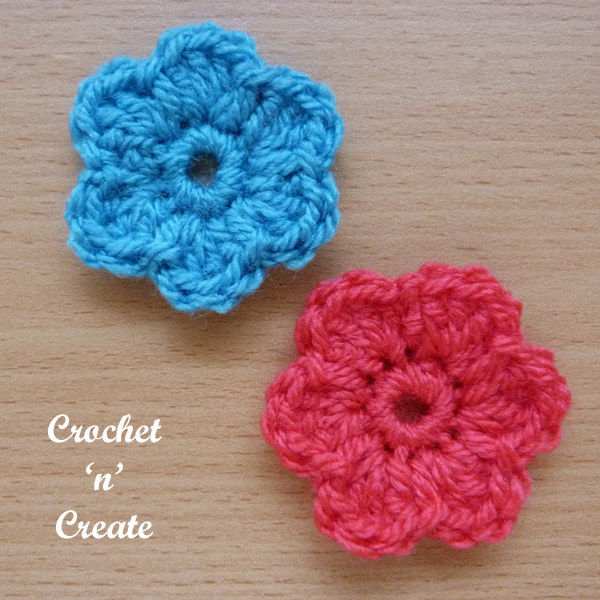 Join in colour 2 with a ss to top of 3tch. 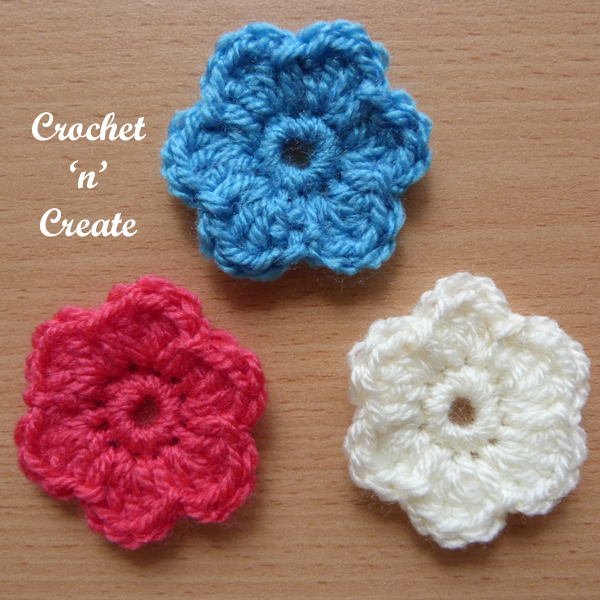 Join in colour 1 with a ss to top of 3tch. 3rd Row – 4ch, (2dtr, 4ch, ss) into base of 4ch, miss 1tr, * work (ss, 4ch, 2dtr, 4ch, ss) into next tr, miss 1tr, * rpt from * to * to end, ss to ss on beginning of row. Fasten off. 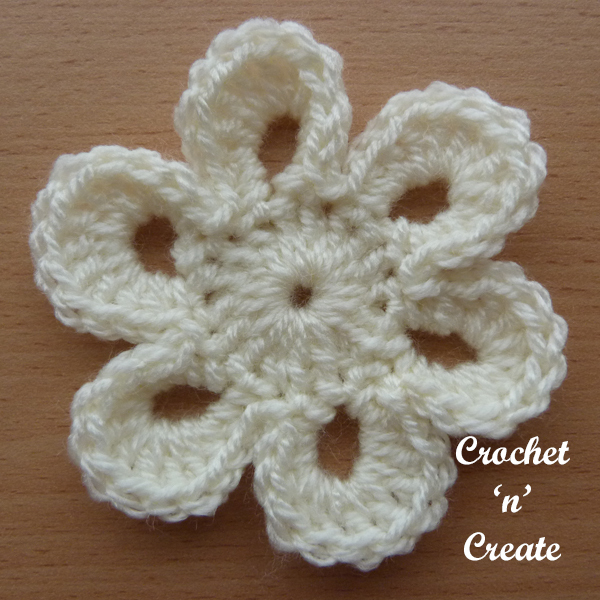 The written instructions and pictures for this crochet flower applique uk free crochet pattern are copyrighted to crochet ‘n’ create © 2018. 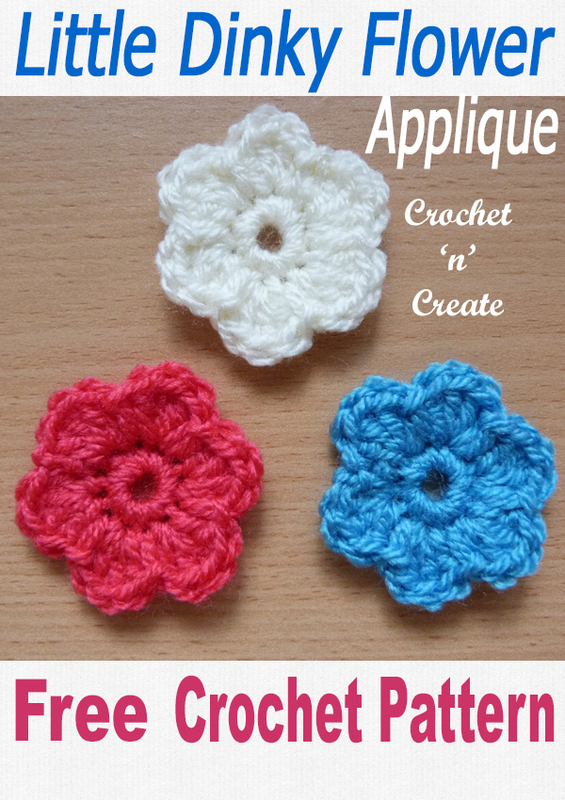 You are welcome to sell the finished products made from the crochet flower applique uk free crochet pattern, I just ask that you use your own pictures and put a link back to crochet ‘n’ create. 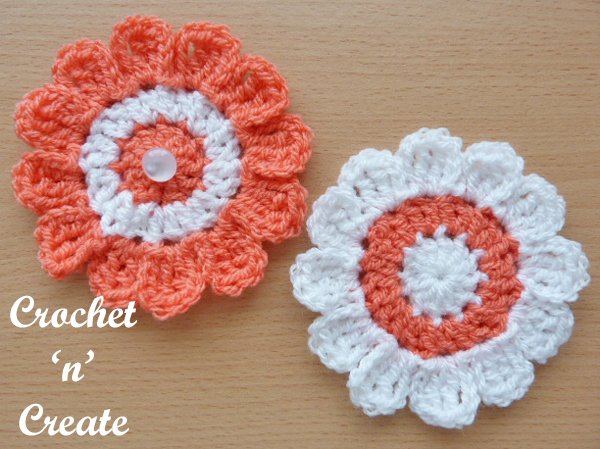 DO NOT share the written instructions for this cute crochet flower applique uk free crochet pattern. 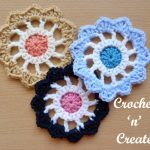 This entry was posted in crochet Applique, Crochet Flowers and tagged crochet, crochet adornments, crochet applique, crochet flower on 25th August 2018 by crochetncreate. 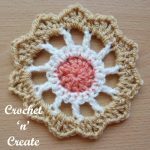 Crochet flower wheel – I have designed this quick and easy flower with spokes to resemble a wheel, then edged it in pretty pointed shells, make to use on bags, blankets, cushions etc. 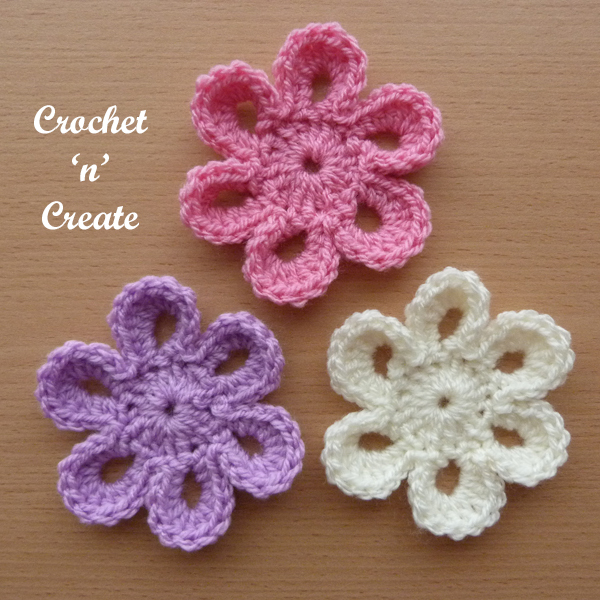 I have made the free crochet pattern in three colors, but it can just as easily be made in one or two, it is a very simple pattern and a sweet beginner friendly design. 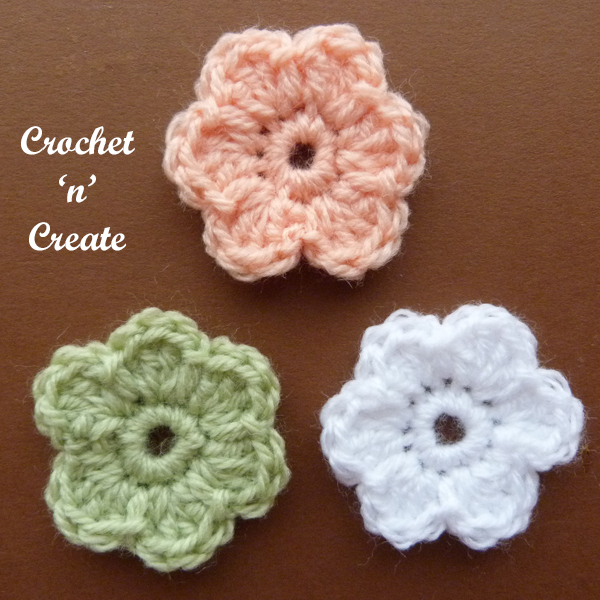 See my Layered Petals and Pretty flower. 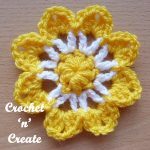 This entry was posted in Crochet Flowers and tagged crochet, crochet applique, crochet flower, crochet for home on 20th May 2018 by crochetncreate. 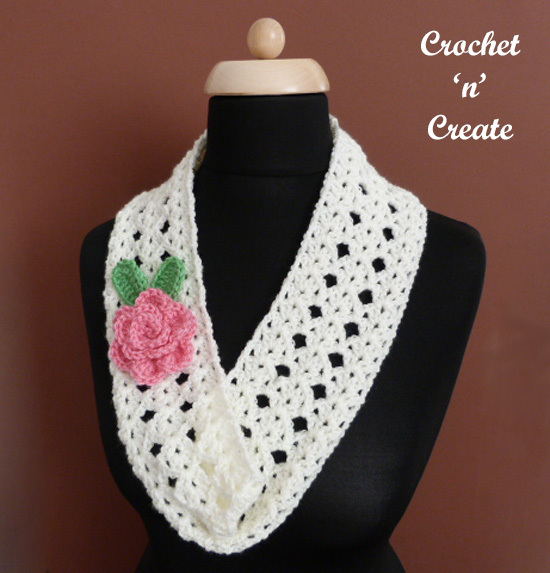 A pretty and fashionable free crochet cowl-rose corsage crochet pattern, spring is in the air and this light and narrow design is just the thing over a thin sweater. 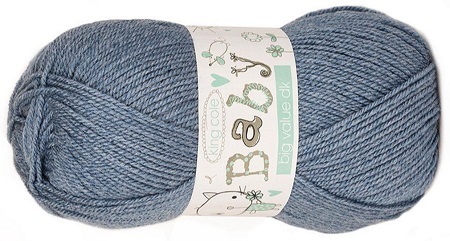 Made in worsted weight #3 yarn on a 4.50mm hook, it’s soft and lacy too. 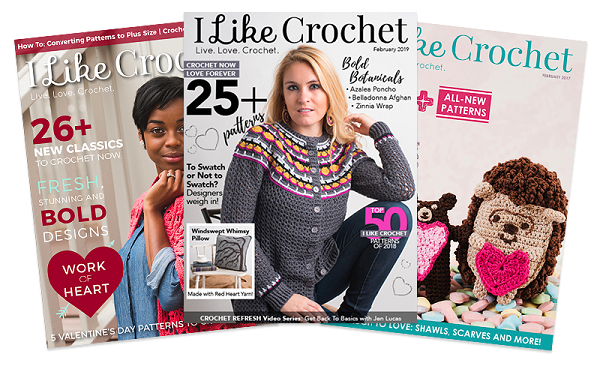 See also my FREE Ribbed Cowl and Slanting Shell Cowl crochet patterns. 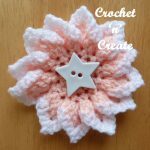 This entry was posted in crochet cowl, Crochet Flowers and tagged crochet, crochet cowl, crochet flower, free crochet patterns on 13th March 2018 by crochetncreate.